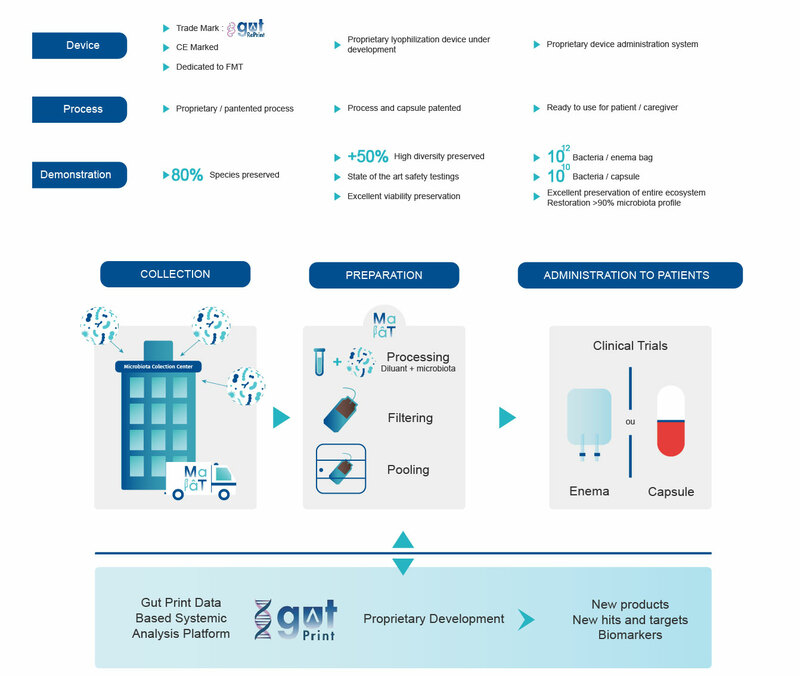 Our MMRB platform has the objective to translate our science into biotherapeutics and is organized around two main pillars: our proprietary data collection and analysis platform (GutPrint®) and our cGMP facility. We live in close association with more microbial entities than we have human cells in our body. This complex network of microorganisms, our microbiome, is essential for the maintenance of our health, contributing to major functions involving digestive metabolism, competitive exclusion of environmental microbes, stimulation of the immune system and intestinal epithelium, and even gut-brain signaling. Thus, the balance of our gut ecosystem is essential for the maintenance of health and well-being. Our microbiota is in permanent interaction with our human cells at mucosal interfaces. Intimate interactions provide the mutual benefit characteristics of a true symbiosis. For example, the immune system is permanently alert, ready to mount appropriate responses in the presence of pathogens while keeping a tolerance towards microbial symbionts. 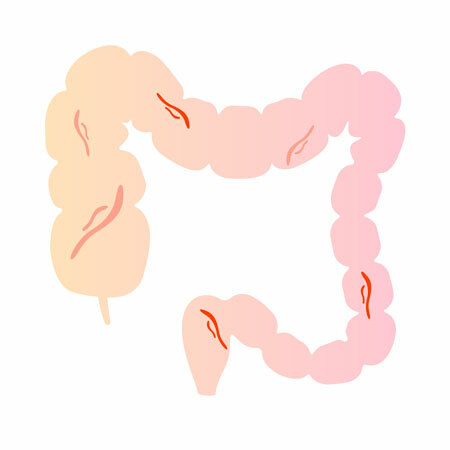 A dysregulated gut barrier and altered immune homeostasis leads to the loss of major functions and a pathological context with inflammatory conditions. Over only a few generations, humans have altered the trajectory of natural evolution of man-microbe symbiosis with fairly drastic changes in the environment and birth management, nutritional transition and increased exposure to chemical compounds. This has been associated with a rise in the incidence of immune-mediated chronic diseases that continues uncontrolled, predictions being that one third of the human population will be concerned by 2025. Clinical management of hospitalized patients will also often aggravate altered man-microbe symbiosis, leading to iatrogenic dysbiosis that can be considered a clinical condition in itself. Barrier defect, uncontrolled local immune responses, systemic inflammation and oxidative stress. 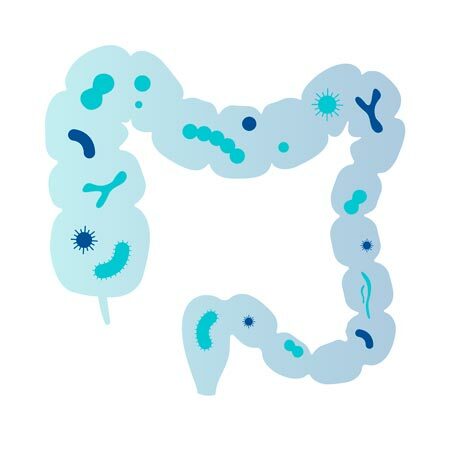 Currently at the clinical stage, MaaT Pharma is one of most advanced companies in its sector, developing Gut Microbiome function restoration for cancer patients with very severe clinical conditions. Aligned for product launch, its unique cGMP platform – the first of its kind in Europe – has assisted the preparation of therapeutics that have proven their ability to rebuild symbiosis post-chemotherapy and that are being assessed for a potential impact on the survival of patients. to accelerate the access of our drugs to patients. We are constantly looking to explore new frontiers, improve our drugs and improve the preparation of our clinical trials. Therefore, we are open to partnerships with investigator-initiated studies to collect Big Data using our GutPrint® meta genomics platform.